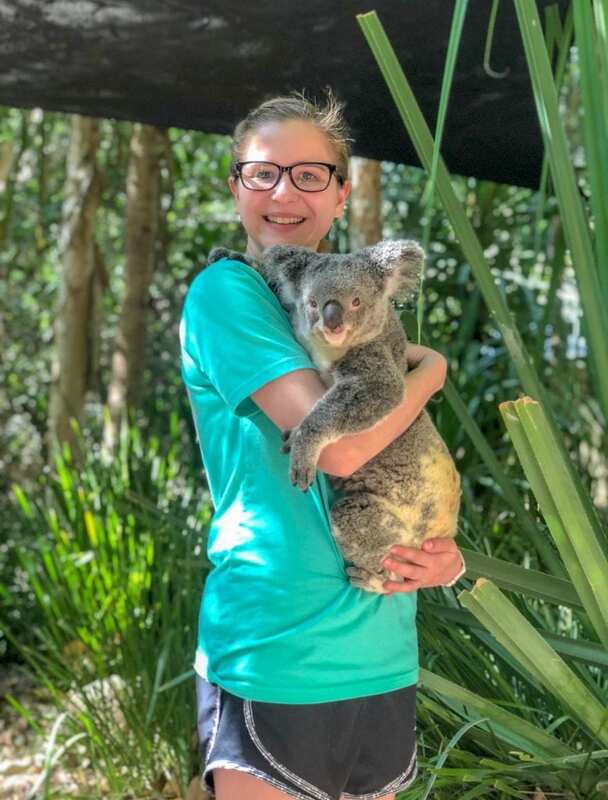 During May of 2018 I had the opportunity to travel to Australia on a program called Human Impacts on the Natural Environment. We left on May 7 and arrived to Australia on May 9, the flight from Los Angeles, California to Brisbane, Australia was around 13-14 hours. We then flew to Townsville where we spent the first part of our trip. Australia is fourteen hours ahead of Ohio so it took some time to recover from major jet lag. The entire trip was focused on the environment and how Australia maintains a sustainable lifestyle. During our first week in Hidden Valley we were in the rainforest area where we learned about the history of the country and identified flora and fauna. We also spent a day learning about the aboriginals culture at Mungulla Station. We swam in Running River Gorge and hiked to Wallaman Falls, the largest sheer drop waterfall in Australia. We spent one day in the aquarium in Townsville where we snorkeled and visited a sea turtle rehabilitation center. We then traveled to Magnetic Island where we did a research project on the Koloa population and saw these animals in the wild. They are endemic to Australia, meaning they are only found in this country. We even got to hold one! We also saw other wildlife on the island such as lorikeets and parrots. We also participated in a reef restoration project where we looked at how changing temperatures impacts the plants and life in the ocean. Our next stop was Mission Beach where we had a free day to sleep in and explore the area. My favorite part of our stay here was when you walked to the beach you had to follow a path through the rainforest first. We weren’t able to swim in the ocean because it was Crocodile season! Due to the location and size of the country the seasons and weather and very different than the United States during the month of May. This is there fall/winter seasons. For the majority of the trip we were in Northern Queensland where the temperature was in the high 70’s to 80’s. Although near the end of the trip 11 of us traveled to Sydney, which is in the southern part, where the weather was in the low 50’s. I didn’t realize that their weather could be so cold. In some areas in the winter months it will snow near the southern part near Melbourne. We had the chance to experience the outback while we stayed in Chillagoe. We swam in a local spring fed creek, toured a cave, and learned about why the soil is red as well as how they manage the land with the air and soil being so dry. We also looked into the process of mining. My favorite part of staying in the outback was experiencing the sunsets every evening. 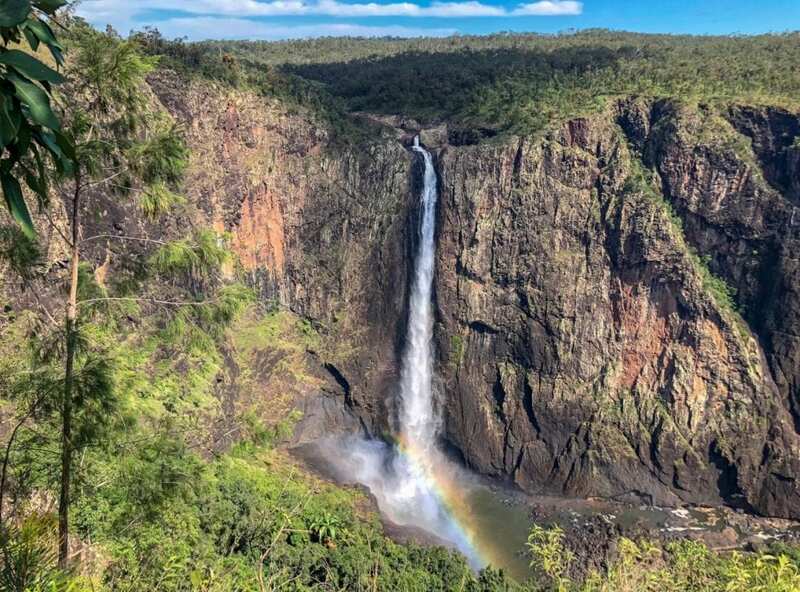 The next section of our trip focused on farming in Australia, with this we had the opportunity to stay with a host family in the Atherton Tablelands. My host family lived on a beef farm. We toured the farm and learned how they manage their farmland with portions of the rainforest being on their property. We also saw a 20 foot python! The family has to watch their livestock and dogs to ensure the snakes do not harm or attack these animals. We also had the chance to make fresh squeezed orange juice. Spending time with the family we learned about their culture and daily life. Much of their lifestyle is similar to Great Britain as they are part of the commonwealth. We then traveled to Port Douglas where we learned all about the Great Barrier Reef! We had a day to learn about the zoning system that is put into place for businesses and recreational purposes. We also learned how to identify fish and coral species. We spent three days snorkeling on the reef learning all about the impacts humans have on ocean life. We had the chance to see clownfish, sharks, and sea turtles. During our last morning in Port Douglas we did a beach clean-up where we learned about the impacts plastic are having on ocean life. Also, while in Port Douglas we went to a Wildlife Habitat where we had the chance to see some animals up close. We saw kangaroos, pelicans, crocodiles, and wallabys. My favorite was the cassowary. These are flightless birds similar to what would have been dinosaur species! We spent our last day as a full group in Cairns where we were able to explore the city after we took our final. We went to the mall and walked on the board walk. This is where part of the group flew home and part of us flew to Sydney for about a day and a half. 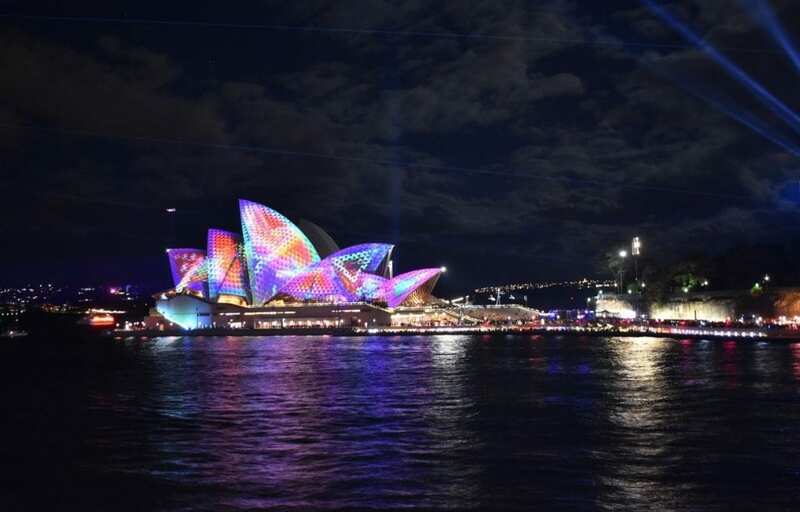 While in Sydney the light show Vivid was going on. The whole city is lit up with bright lights and shows and activities. We had the chance to see Sydney Harbor Bridge, the Sydney Opera House. It was really fun to just explore and see the city. We went shopping in some of the stores and saw the different parts of the city. On the way back with all the time changes I lived June 8 for 41 hours! Through this trip I was able to learn more about the environment and ways to be more environmentally friendly. I also gain valuable friendships with people I wouldn’t have met if it wasn’t for this trip. I am so thankful for the adventures I had every day and won’t forget them anytime soon! There are a lot of amazing opportunities to study abroad in the College of Food, Agricultural, and Environmental Sciences. 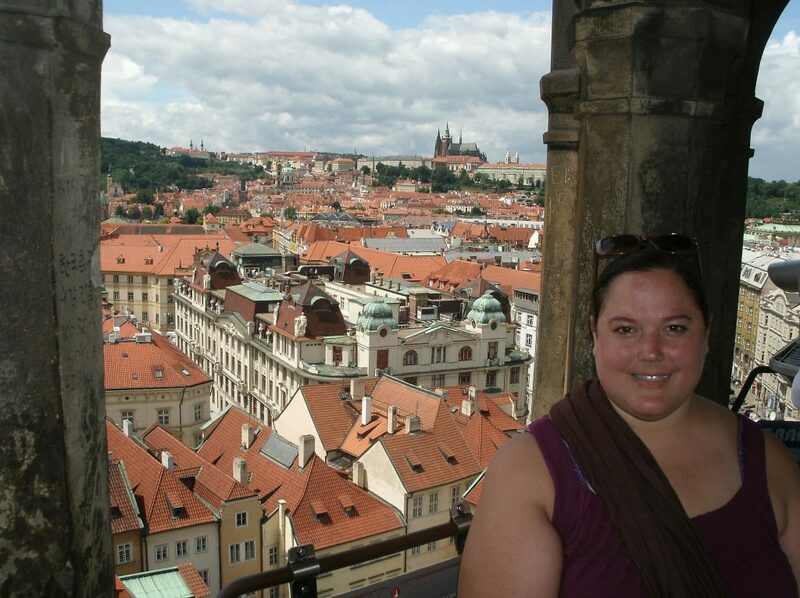 This past summer I was able to participate in one such opportunity, traveling abroad to Prague with the Czech Republic: Sustainability and Agricultural Policy in the EU program. I first learned about this program when researching classes and opportunities in the International Economic Development program, which is one of my minors. The study abroad program would not only count for six credits towards my minor but would also enable me to really experience the international part of the International Economic Development minor. The program ran from May 11, 2018, to June 9, 2018. The first day was mostly taken up with travel. After nearly 13 hours of airports and flights, I arrived in Prague and was picked up at the airport by our group leader and some of the Czech students who would be guiding us during our stay. We went back to the hotel and had some time to rest before going to dinner at a nearby restaurant. Over the next few weeks we took classes at the Czech University of Life Sciences and got to tour the city and see some of the major monuments, such as Prague Castle. We slowly became accustomed to using the extensive public transportation system to get where we wanted to go, and ate at the same Vietnamese restaurant at least once a week. We also had the opportunity to see other parts of the Czech Republic outside of Prague. We went on excursions to South Bohemia and Moravia to see and learn about different industries and farms. We went on a 16 mile hike up and down a mountain in Moravia, which was one of my favorite activities. Another of my favorite things was the weekend we spent doing family stays with the Czech buddies. 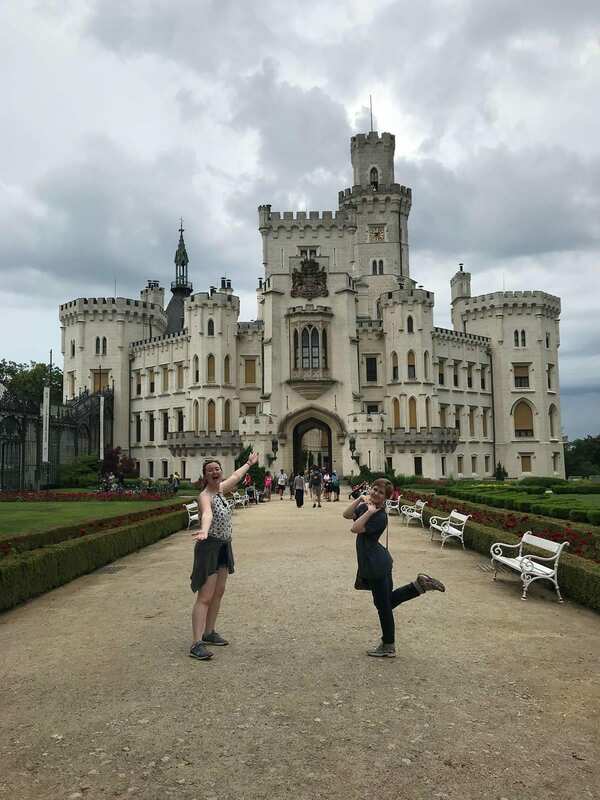 My buddy took my roommate and me to her family cottage in South Bohemia where we saw places like Hluboká Castle, a healing spring that was fabled to have healed the blind, the ruins of Pořešín Castle, and several beautiful forests that we hiked through. The last day, we had a farewell dinner where everyone was given a graduation certificate and some printed photos to take home with us. My month in the Czech Republic went by very quickly, and I was sorry to go when there was still so much more to see. I was fortunate to have the opportunity to participate in the program, and it is good to know that there are so many remarkable study abroad experiences available in the College. In fact, I will be participating in another this upcoming winter break; I will be traveling to Antarctica to study the human impact on a fragile environment. 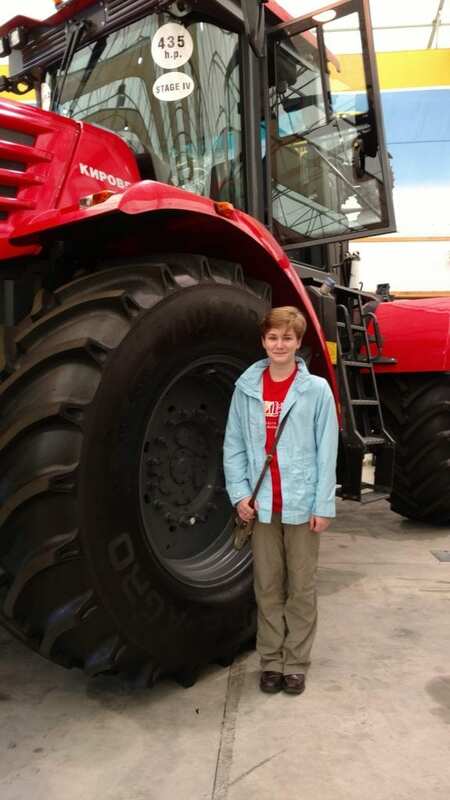 Hulse learning about tractors in Prague. Hulse (right) poses in Prague. Kelly Newlon came to Ohio State from Perry County, Ohio. She now works for the University as the Director of Education Abroad for the College of Food, Agricultural, and Environmental Sciences, a position she has held for 10 years. With her job, she has been able to travel to all seven continents! [ACEL]: Hi Kelly! You completed your undergraduate degree in agricultural education. Why did you select that? [Newlon]: I knew I wanted to pursue higher education administration by the end of my sophomore year. I had a love for CFAES and agricultural education and knew it would provide an excellent foundation for my career. I am a third generation Buckeye and grew up coming to football and basketball games, imitating the drum major and knowing the cheers. There really was no other university in my mind. My production agriculture minor courses are what impress people in my general life the most today. People think it is cool that I know how to weld and select animals for breeding based on their EPDs. I also did some cool things with classes, most fun was earning my private pilot’s license. What professor, faculty, or staff member had an impact on your education/career? How? It is hard to think back now and think of what I thought as a student, but through my professional career Dr. Ray Miller made a huge impact. His quiet humility and extreme work ethic were exemplars for all around him. I studied abroad between my freshman and sophomore year and on the program met a student who was serving as a University Ambassador. She encouraged me to apply to be an ambassador and I got the job! As I have developed professionally I gained skills and it has taken me back to the classroom at the college level and I am ever grateful for having classroom management and student teaching course content. What were you involved in as an Ohio State student? My primary involvement was as a University Ambassador and Alpha Sigma Upsilon sorority. 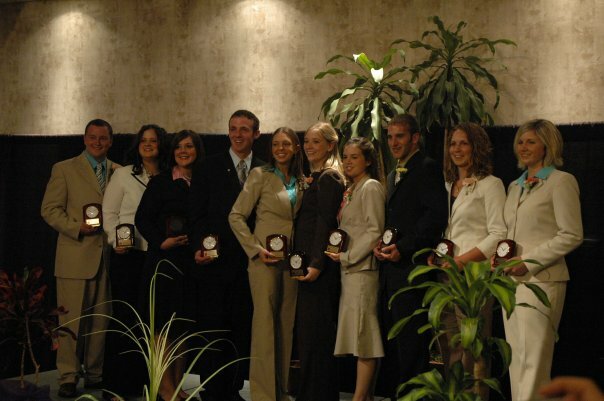 I was also involved in CFAES Student Council, the Recognition Banquet Committee, Collegiate 4-H, Sphinx and Bucket and Dipper. Nothing beats the goose bumps I feel when the drum major comes running down the ramp during a home game against TTUN. The anticipation of the game to come and the comradely shared with those around you is unequaled. I was the assistant director of admissions at Indian University in Bloomington, IN. What other schools have you worked for during your career? Indiana University, Capital University, The Ohio State University. During your career, have you received any awards or honors? If so, what are those? I have received the University Outstanding Student Organization Advisor award twice, Dr. L.H. Newcomb Excellence in Leadership and Service Award in 2015, Sphinx/Mortar Board Senior Honorary Faculty and Staff Award four times. I love my work and take pride in the small moments of seeing students grow on programs. It is pretty cool that my career has taken me to seven continents though! What professional organizations have you been involved with during your career? North American College Teachers of Agriculture, National Agricultural Alumni and Development Association, National Association of Foreign Student Advisors, Forum on International Education, Diversity Abroad, National Association of College Admissions Councilors. How are you involved in your community outside of your profession? I have continues to advise Alpha Sigma Upsilon and helped found an alumnae association. I have also been active in the United Methodist Church including choir membership. Be strategic and plan for your future, but always keep an eye out for how you could improve upon that vision. Don’t rule anything out! What did ACEL cultivate in you? How? ACEL is all about servant leadership and I take great pride in being in a career that allows me to build a workforce that will give back and grow Ohio communities. 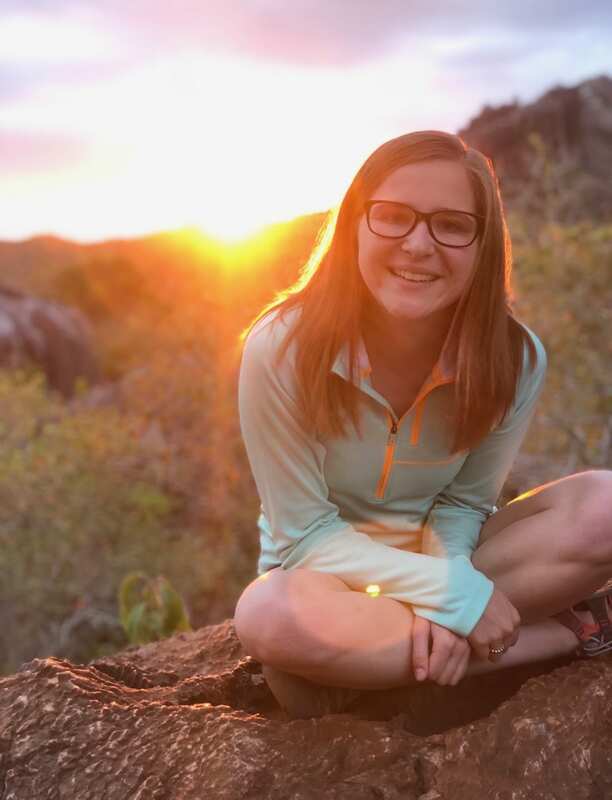 Newlon visited her seventh continent this summer when she visited Tanzania. 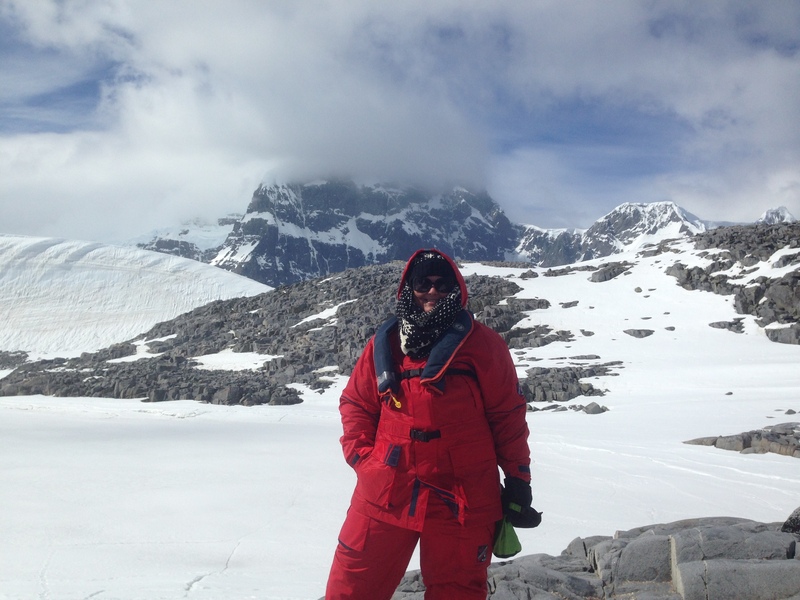 Newlon spent time in Antarctica a few years ago, learning about and experiencing a new education abroad program. 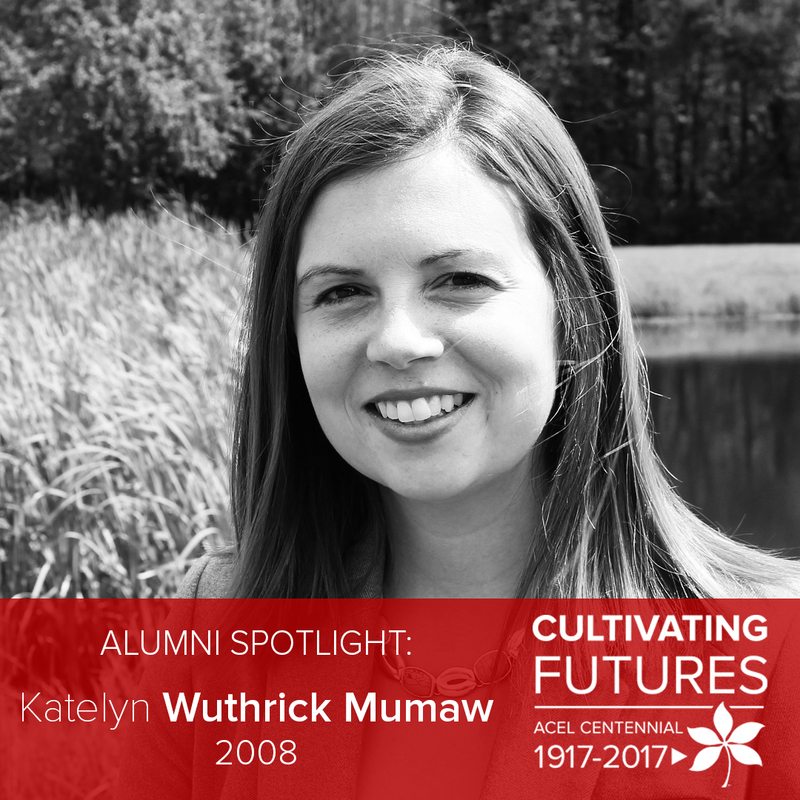 Katy Wuthrick Mumaw graduated from Ohio State with a degree in agricultural communication in 2007. After eight years with the National FFA Organization, Katy now works as a reporter for Farm and Dairy in Northeastern Ohio. [ACEL]: Hello Katy! You majored in agricultural communication. Why did you select that major? I was always interested in pursuing a career in agriculture, but my strengths in high school were in social sciences and English. When I discovered a degree that combined my passion with my skills I was hooked. Going to Ohio State was always a dream of mine, as my parents are both alumni. I chose Ohio State because of the reputation and caring staff. My education opened my eyes to all the possibilities in agricultural communications Because of my education, I continue to share the story of agriculture. How were you involved outside of the classroom? I was involved in the Agricultural Communicators of Tomorrow, Saddle and Sirloin Club and Sigma Alpha. I also worked in the Ohio State Extension Business Office. Did you have a faculty or staff member that was influential to your time at Ohio State? Dr. Mark Tucker showed me the power of inclusion. He ensured each member of the class was valued for what they brought to the table. Kelly Newlon opened my eyes to different cultures and concepts. 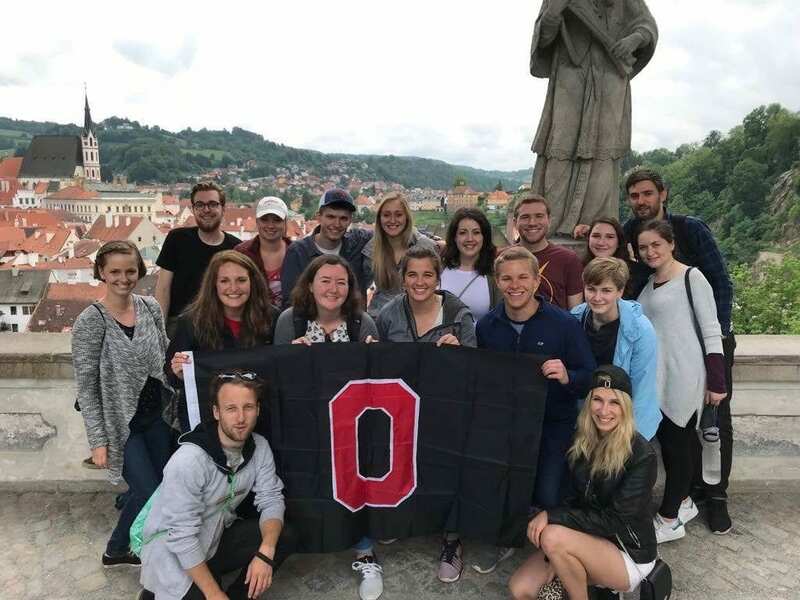 I traveled to the Czech Republic with her and several other students during my time at Ohio State and I am still amazed at what I learned and the growth I experienced while abroad. I have so many wonderful memories. One that sticks out is serving food at the Farm Science Review with Saddle and Sirloin — it was hot, it was fun and inside jokes kept us smiling. I worked as an education specialist for the National FFA Organization. My involvement in the development, launch and marketing of the National FFA Organization’s website in 2015. Never stop learning and care deeply. Care about other people, care about your work, care about your influence on others. ACEL cultivated a passion in me to ask questions. ACEL instilled in me the value of diversity of thought and the power of a 360 perspective. 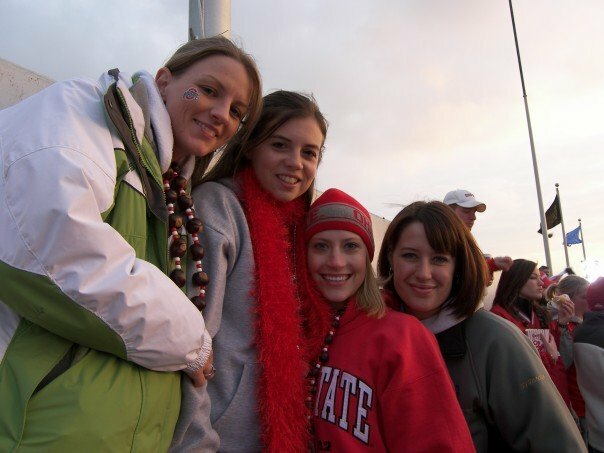 At an Ohio State game my senior year – 2006. Czech Republic study abroad in 2005. After the photo voice presentations are shared by the students, they are added to the study abroad blog for students to share with family and friends. In October, members of the ACEL faculty and staff traveled to Choluteca, Honduras. During this short trip, they met with the Ministry of Education, the advisory board of the Choluteca Vocational School, visited rural villages, the mercado and leadership team of World Gospel Mission. Dr. Jamie Cano and W. Tyler Agner were recognized by the mayor of Choluteca for the work they have been doing to improve the lives of the residents in the city. This short video captures the highlights of the trip. 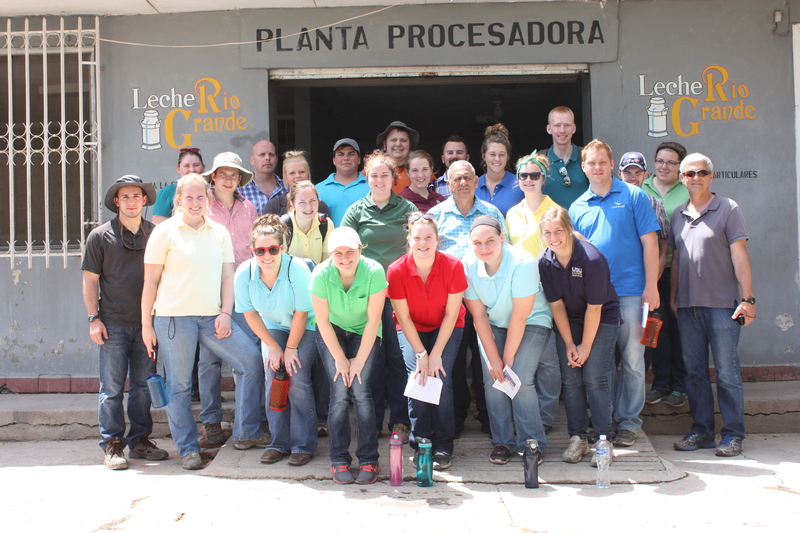 Each year, students from CFAES travel to Choluteca, Honduras as part of the a community development study abroad offered through the Department of Agricultural Communication, Education, and Leadership. The education abroad experience will travel again in May 2017. More details here. Students interested in this program should attend the upcoming info session on December 1, 2016 at 6pm in 246 Agricultural Administration. Last May, a group of 26 students and faculty from Utah State University and The Ohio State University traveled abroad for 16 days to Honduras for a Community Development and Agricultural Outreach Education Study Abroad program with the supervision of Dr. Jamie Cano, Tyler Agner, and Emily Wickham of Ohio State and Dr. Gary Straquedine of Utah State University. Our host family, Larry and Angie Overholt are also native Buckeyes who took care of us throughout the trip. While in Honduras, we accomplished many great things and was able to see several incredible places and sights. Each day was a new adventure. We never really knew what we were getting into until it was happening. Whether it be cooking with the people of the villages to prepare a meal for the kids in school, helping serve the food to the children in the school, helping build an outhouse for a family with teenage girl who has never had bathroom facilities, or making and pouring concrete at the Vocational schools for various projects the needed done. Whatever the task was, we all came together to make it happen – even in the 100+ degree heat. However, we did not always work. Some days we would take tours of the cities around and all they had to offer such as the “Mercado” which is essentially a supermarket where the Hondurans go each day to get their food while also visiting a sugar cane processing plant, a milk processing and packaging plant and visiting several vocational and public schools in the area. This blog was originally posted on the CFAES Student Blog. Visit u.osu.edu/studentblog for more posts by CFAES students. Q: As an incoming student to CFAES this fall, I have been looking forward to college and was curious about the study abroad opportunities. I was wondering what all study abroad trips would be available for me to do, and if it’s worth it to spend that much money? I’m also concerned that studying abroad would make me graduate late because I would be taking time away from school to travel. Any advice? 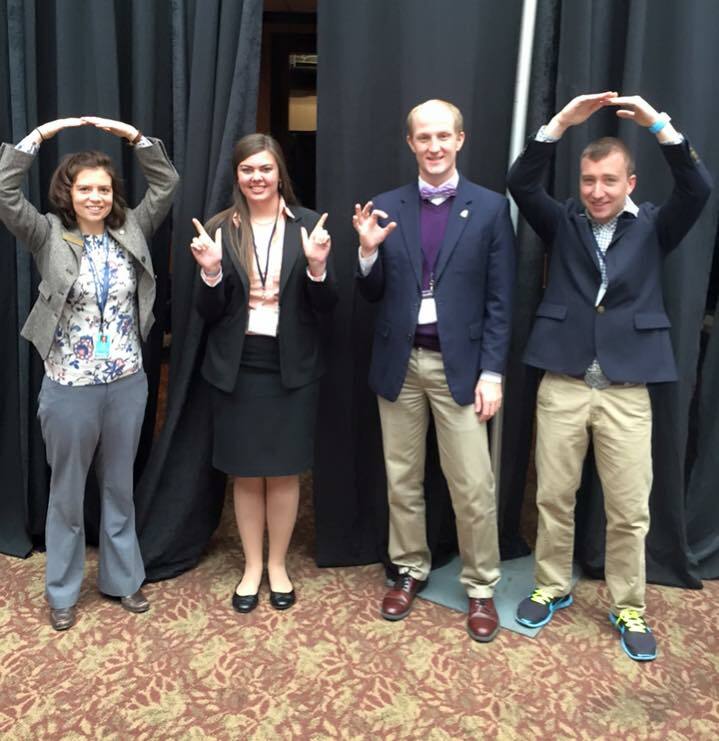 A: As a senior this fall, I have studied at Ohio State for three years. Cheered on three winning seasons of Buckeye football. Taken three different psychology courses. Eaten three times my weight in Raising Cane’s chicken tenders. Had three different jobs. Had three different roommates. And traveled abroad to three countries. The dream of studying abroad was one of the major reasons that I was so excited to move away to college and experience the world. I came from a small farm town in Ohio where I was fairly sheltered about what the world and global community had to offer. Ohio State was the perfect avenue for me to get out and culture myself. For me, studying abroad has been one of the most beneficial and influential things I have done since moving to Columbus. The summer after my sophomore year I went on a two-week study abroad trip to England and Scotland that was primarily focused on agricultural communication. 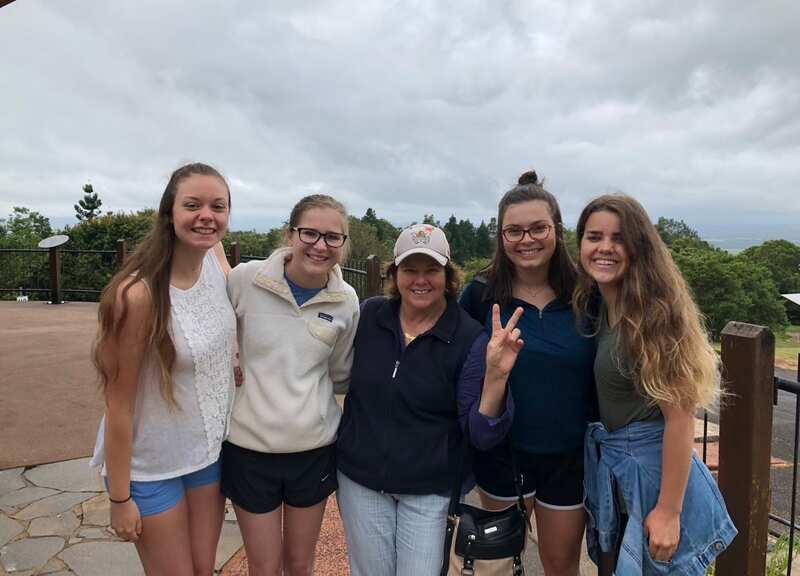 We spent time learning about the culture of the United Kingdom, eating their foods, talking with locals, admiring architecture, visiting various agricultural newspaper and magazine companies, and comparing their agricultural practices to our own. 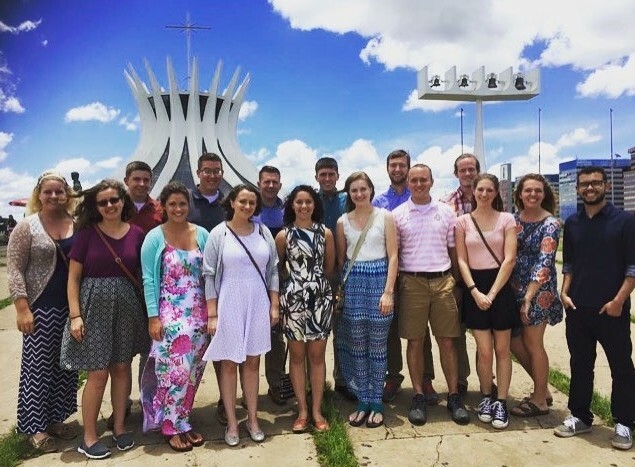 This past spring I traveled to Brazil with fourteen of my peers where we spent six weeks immersed in Brazilian culture. 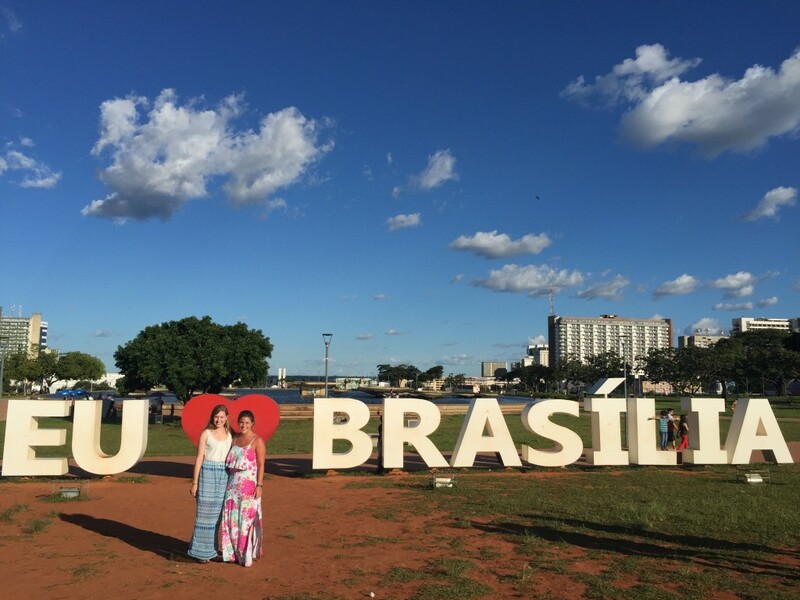 Alpha Zeta Partners, a professional agricultural honorary fraternity in the College of Food, Agricultural, and Environmental Sciences, takes students to Brazil every January to learn about their fast growing agricultural sector. What I learned and experienced while in Brazil taught me more than I could have ever imagined. Although I can’t speak for everyone, my best advice to incoming and current students is that if you have the opportunity to study abroad and see the world- DO IT! Take the leap. The programs are designed to fit with your class schedule so that you still receive course credit and can stay on track to graduate. 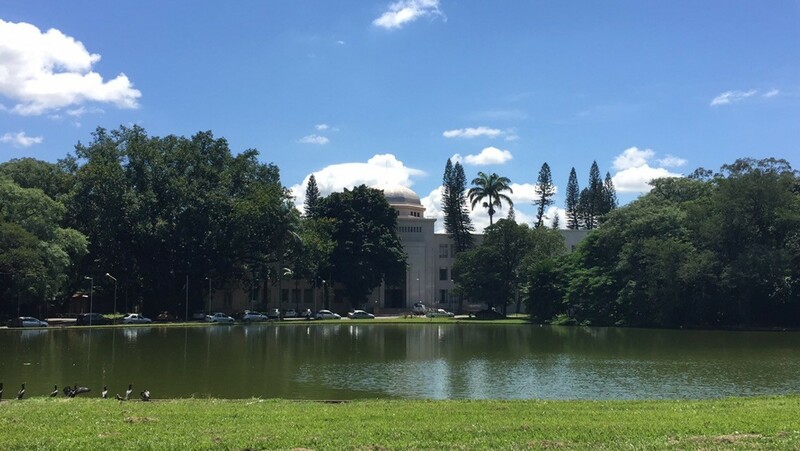 There are also programs that you can do where you study abroad during summer break, winter break, and even spring break if you would rather not travel during the school year. Financially, I can almost guarantee that you won’t find a better price point to travel and do everything that is included in the programs. Although they can be somewhat expensive, they are relatively cheap in comparison to doing the exact same trip on your own. There are also scholarships available to students who wish to study abroad, and the College works very hard to financially help out every student that wants to travel. Throughout CFAES there are many trips abroad that focus on agriculture and environmental sciences, but there are also countless programs within the University as a whole that can take you anywhere around the world. College is the place where you go to learn, and what better way to do that than by traveling and immersing yourself in other cultures? Diversity and cultural awareness are highly sought after in any workplace, and the skills and lessons you learn while abroad way exceed what you can learn in a classroom in Columbus. So my final advice is: get your passport, pack your bags, and go explore all that the world has to offer! 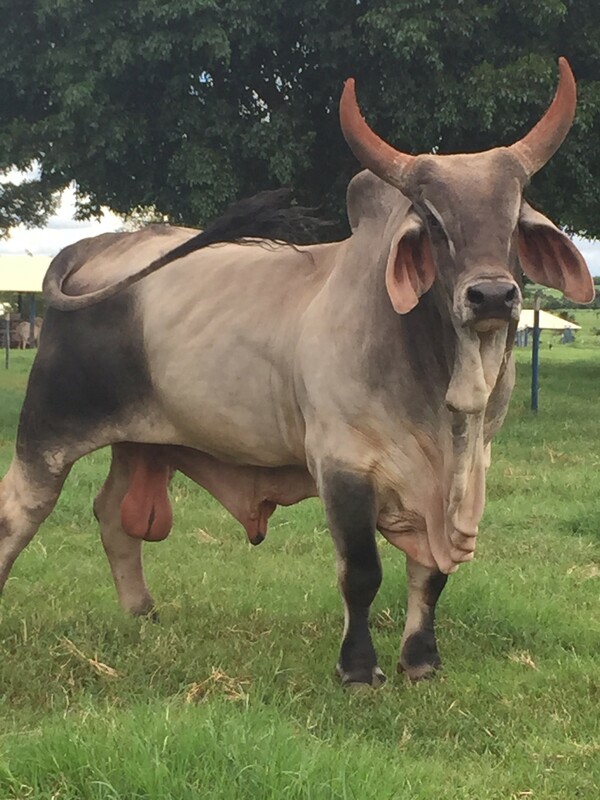 A Brazilian bull at a breeding facility. The agricultural school we studied at in Brazil. 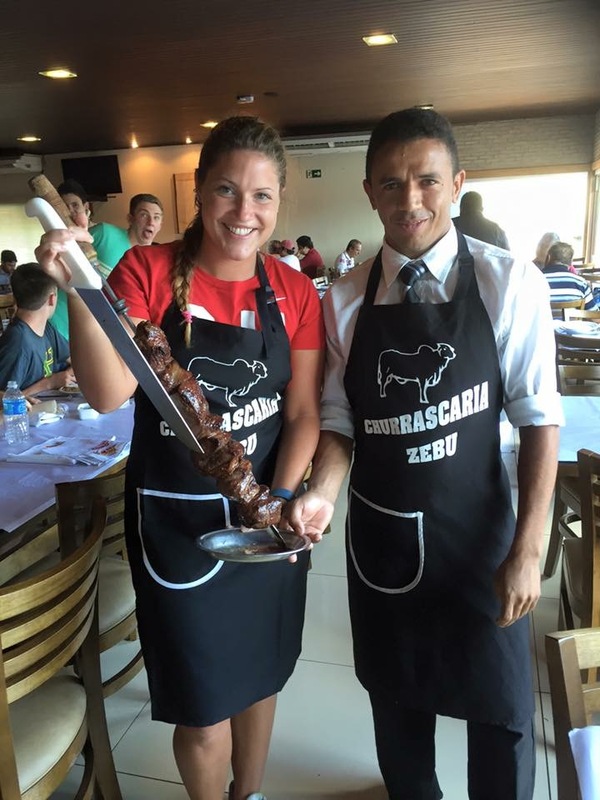 One of the best parts of Brazil: a steakhouse. Our Ohio State group and Brazilian student Alan at the National Cathedral. 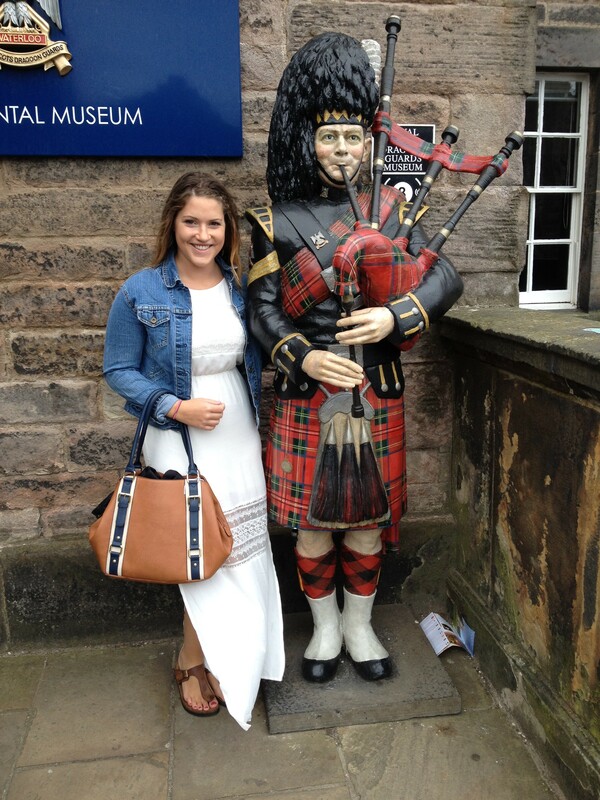 Posing with a bagpipe statue in Scotland. 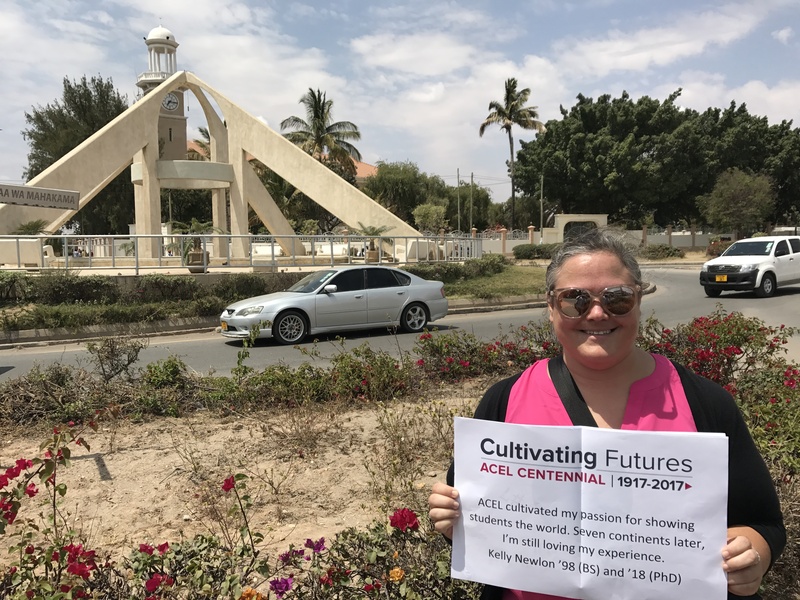 To learn more about study abroad opportunities within CFAES, visit Agricultural Administration Room 100, or email Kelly Newlon at newlon.7@osu.edu. 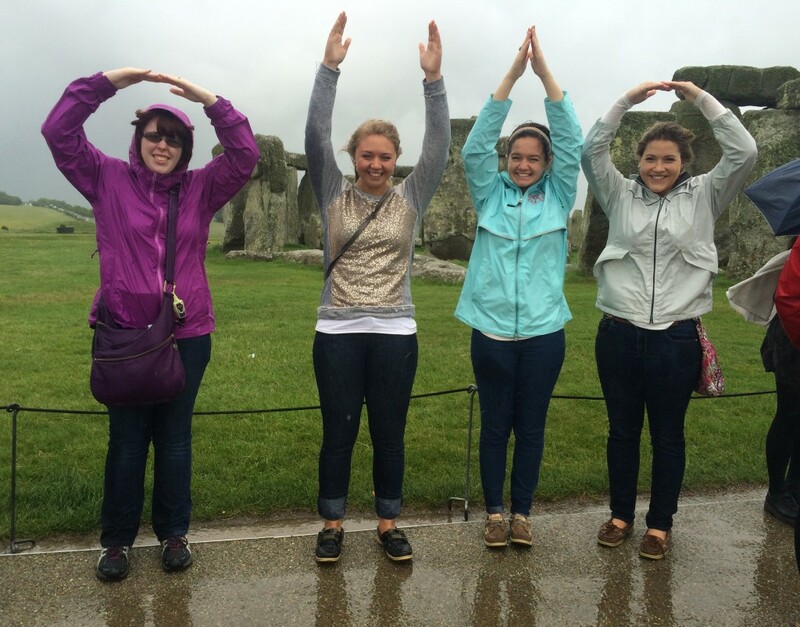 For study abroad opportunities for all of Ohio State, visit the Office of International Affairs. As a part of the Community Development study abroad trip to Honduras, students toured Leche Rio Grande, a facility in Choluteca, Honduras that packages milk and produces cheese. Students were able to see the process from start to finish as milk arrived at the facility from local farms until the cheese was pasteurized and then sampled. While in Choluteca, Honduras, students from Ohio State and Utah State completed projects at the Choluteca Vocational School, which included a connector sidewalk, entry way, and weight room floor. In the time we were allotted, projects were completed from start to finish, with the concrete pour for the weight room floor finished after we left.